We’re delighted to share that we now have a full house at 393 Macaulay Rd, Kensington! 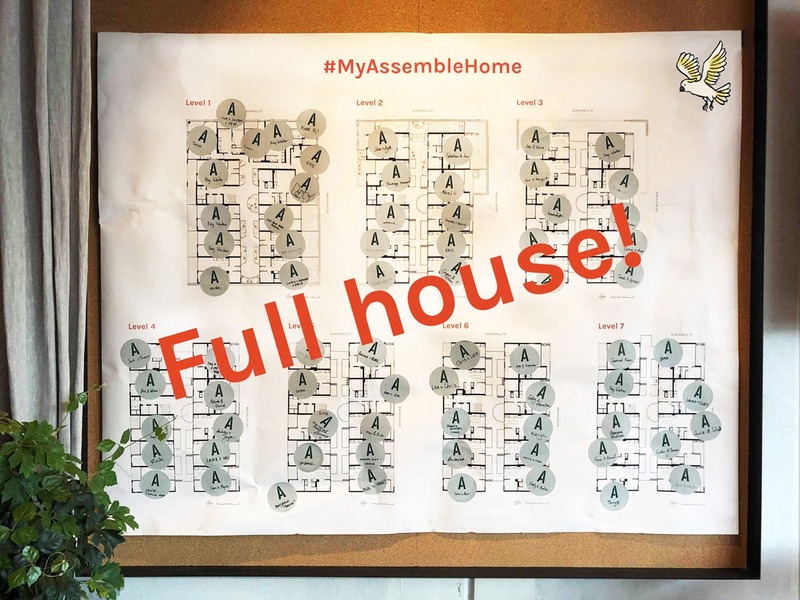 Since launching the Assemble Model, it has been a pleasure to meet prospective residents and listen to your feedback in our community presentations, workshops and other events. Your interest and enthusiasm will continue to help shape the Assemble Model for our next project and beyond. Given such an encouraging response to 393 Macaulay Rd and the momentum behind the Assemble Model, we have now secured some exciting new project locations to deliver more communities via the Assemble Model and we can’t wait to share more with you soon. So please stay tuned for our updates in the new year as we help many more people bridge the gap between renting and owning their home. Planning permit approved – hooray! What a way to end the year – 393 Macaulay Rd has now been granted a Planning Permit by the City of Melbourne! This means we can get well underway with construction in the new year. We’d also like to send out a big congratulations to all those who will soon be calling 393 Macaulay Rd home. We are looking forward to getting to know the community in 2019! Although all apartments have now been allocated, during the building or the lease period, our residents’ personal circumstances may change. If you would like to be contacted in the future if an apartment becomes available, please join the waiting list here. If you have any queries, please feel free to get in touch with us via – [email protected] or 1300 181 295.